Using mediation can be an effective alternative to long drawn out divorce litigation, especially when it comes to matters involving the children. Parents are given the chance to work together and create a parenting plan that respects each parent’s individual relationship with the children when using mediation. The non-adversarial nature of mediation means that the common goal of doing what is best for your children can be achieved without the conflict that accompanies litigation. Both parents are involved in creating a parenting plan that works best for their family dynamic, not what a judge deems best. By removing the conflict, you avoid a situation where the children are inevitably caught in the middle. Instead, mediation concentrates on what’s best for the children, while showing you how to separate your interests from theirs. Mediating a child custody agreement will teach you the communication skills necessary to deal with each other effectively without creating stressful conflict for the children. Those skills will come in handy down the road when the needs of the children change as they grow up. There is a financial benefit to mediating your parenting plan. When lawyers and the courts are involved both parties are paying a lawyer for to represent them. 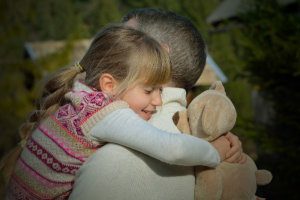 The focus of mediating custody is to create a plan that is best for the children and in the process parents create a working relationship where the children flourish. This entry was posted in Children & Divorce, Divorce Mediation. Bookmark the permalink.